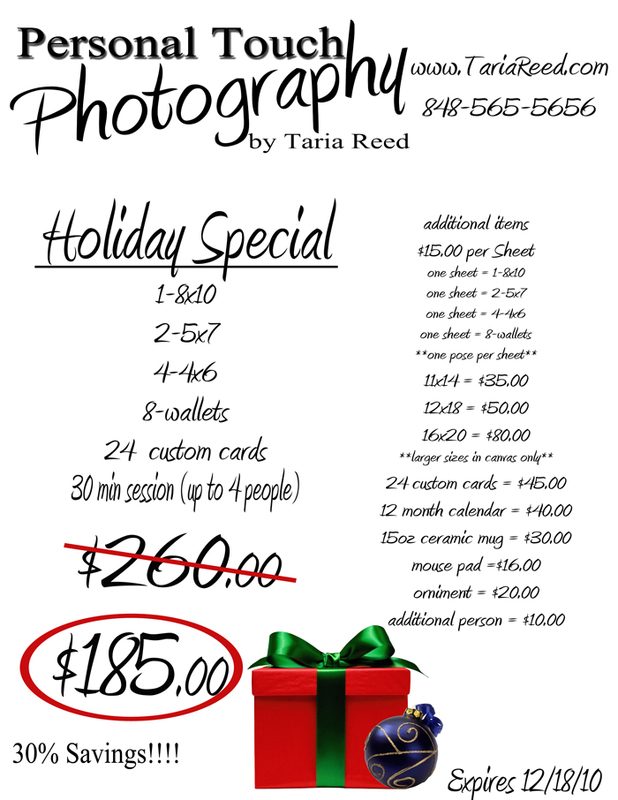 Taria Reed Photography: Happy Holidays!! I'm normally one of those people who don't want to hear about Christmas until after Thanksgiving. In my defense I am only trying to help you. Every year I get so many phone calls from families trying to schedule last minute holiday sessions. I'm going to make it easy for you to book a session early and get your cards out on time. The following offer is good from November 1st to December 18th. Weekend dates book up super fast, so schedule your session ASAP!! There will be a holiday set for my studio sessions. After our Halloween Portrait Day I'll start putting it all together and show you guys some pictures.